DJing from WiFi with portable tracks. The combined structure of two players and a mixer means you can DJ with this device on its own. The mixer is equipped with ports to connect external hardware, such as one of our CDJs or other turntables, allowing you to use it as an independent 2-channel mixer as well. You can wirelessly access the tracks and music stored on your mobile device's rekordbox app. 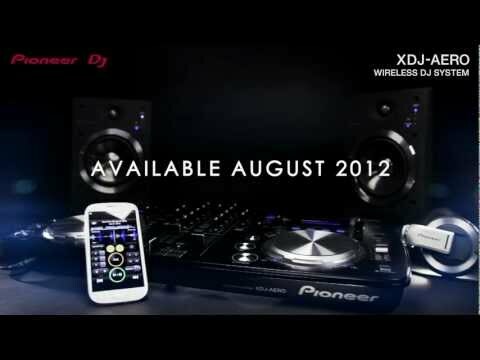 The XDJ-AERO can be used as a controller. Just plug in a USB stick where you've stored your tunes or connect extra decks via the LINE/PHONO inputs. Push the sync button to synchronise music or to automix your prepared rekordbox playlists. JOG controls and effects enable a wide range of arrangements and mixes from the integrated effects library or from your own music sources . DJ mixes can be recorded directly to USB. Recorded DJ mixes are stored in WAV format. The player and mixer's processing blocks have been combined into one chip with full digital processing capabilities. Distortion is reduced to a bare minimum to bring you flawlessly precise, bass-bastic beats. Screen: LCD screen supporting display of music in 18 languages.